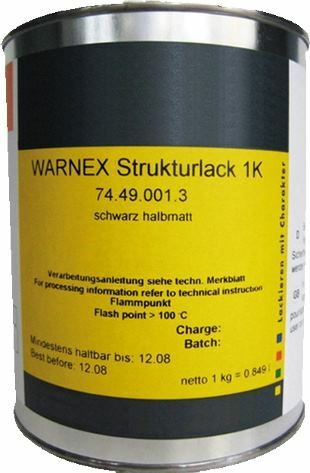 Enlarge Coating loudspeaker cabinets more attractively, impressively and discerningly: Warnex texture paint is the impressive alternative to conventional textile and plastic surfaces! Whether coarse or fine grain finished, the range of sound from your loudspeaker cabinets remains unchanged. For optimal results use Spray Air Gun with fluid cup provided and rapid hook closing (Artikel No. 01362AG).